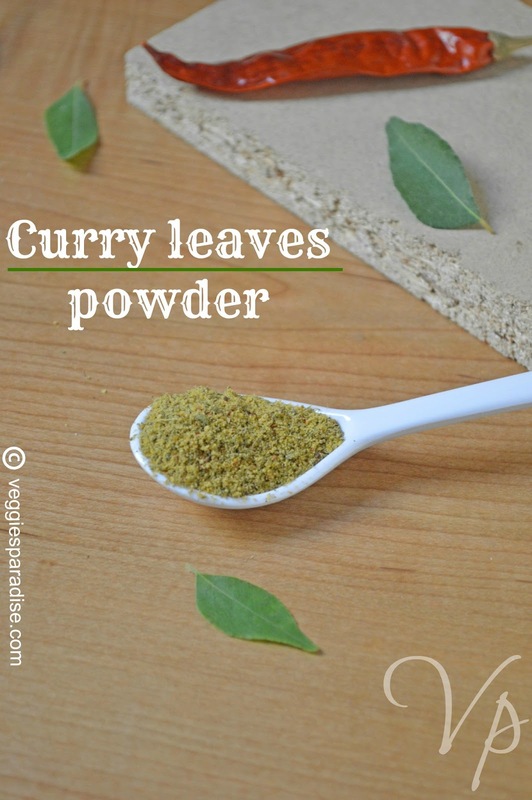 CURRY LEAVES POWDER - This aromatic and protein rich powder is prepared with fresh curry leaves, the essential part of indian cookery used mostly in South Indian cuisines. This flavorful powder can be stored for a month or two . Serve it with crispy dosa, idli or simply have it with hot steaming rice along with a dollop of ghee. Discard the curry leaves from the stem, wash and dry it well. In a heavy bottomed pan,dry roast the curry leaves until they turn crispy, be careful not to burn them and retain their colour. Now add urad dal, thuvar dal, black pepper and fry until the dal's turn slightly brown. Remove it from heat and allow it to cool. Transfer the ingredients to the blender,add asafoetida,salt and grind it to a fine or coarse powder. Store it in an airtight container. Love your clicks too !!! Super aromatic and comforting podi ! 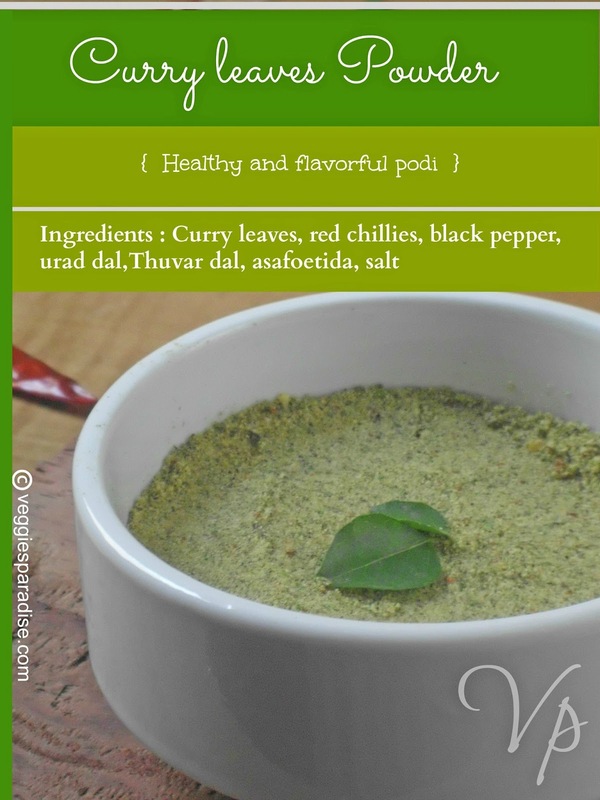 Healthy and flavourful podi...looks unique.. Very healthy and rich in iron content podi making at home is really worthfull!! What a flavorful podi powder... thanks for sharing. 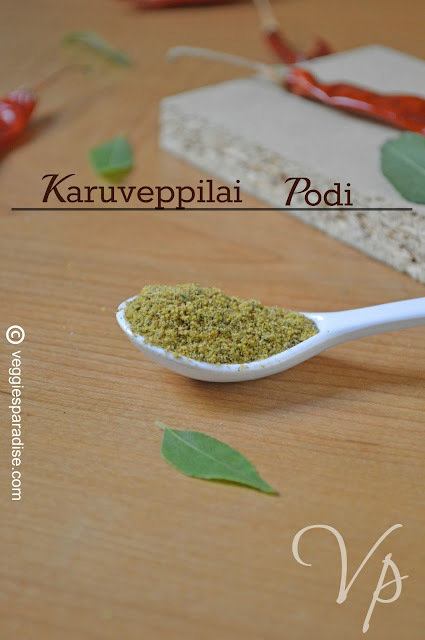 Just love this flavourful podi,just need some rice to enjoy with. Lovely clicks...love this podi always..
nice post aruna.. thanks for sharing it..